Cosmology and particle physics PhD students from the Durham Data Intensive Science Centre for Doctoral Training (CDT) have worked with IBEX Innovations Ltd, in North East England, to analyse X-ray images to differentiate between bone and soft tissue. The students used Durham University’s powerful COSMA supercomputer, usually used to simulate the Universe, to do their analysis. Find out more. Working with Dell EMC has helped the Durham University to forge close links across the Dell Technologies family of businesses and given our team significant access to the company's partners and industry peers. 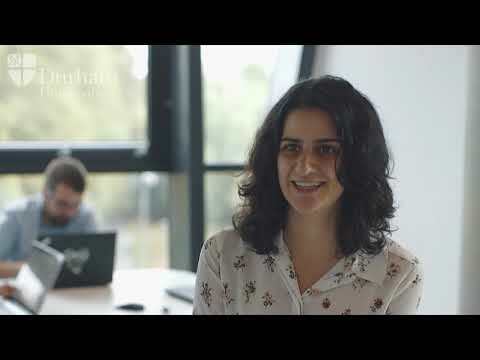 The Durham Data Intensive Science Centre for Doctoral Training (DDIS CDT), a £2m investment by the STFC and Durham University in PhD student training, connects academic research and expertise with industry. Optimising SWIFT for the Mellanox InfiniBand network – student placement. Intel Parallel Computing Centre to optimise SWIFT for Intel architectures. Businesses who wish to use COSMA should contact Professor Adrian Jenkins on a.r.jenkins@durham.ac.uk. Businesses keen to engage with the DDIS CDT should visit this page.